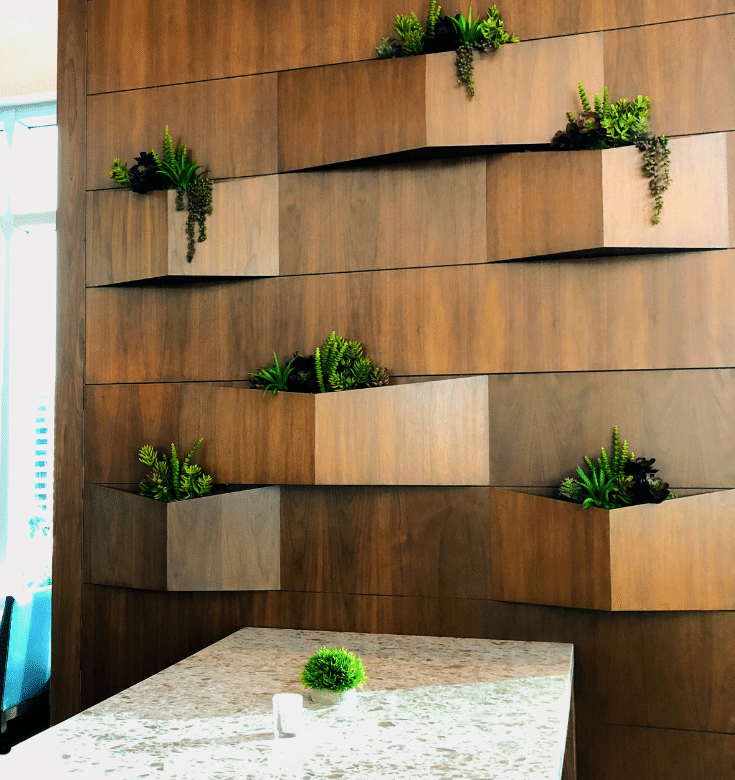 Floral arrangements have long been a staple of special occasions, but live plant rentals have, until fairly recently, been more of an event planner trade secret. Now, it’s easier than every to rent plants short term for weddings, parties, graduations, and more. 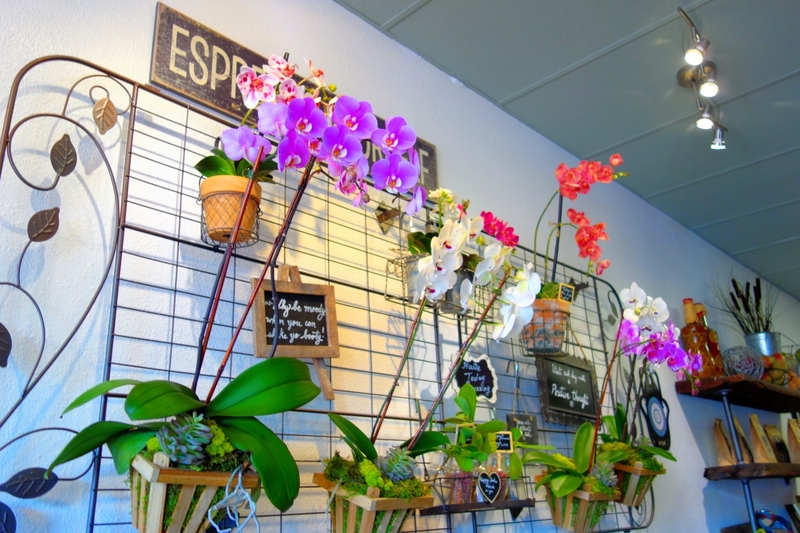 Here’s how live plants can enhance any venue, from humble to high-end. Short term plant rentals are a great way to personalize venues, and make familiar spaces feel special. Groupings of palms and philodendrons, for example, can quickly transform a gym into a jungle. Even if you have a ritzier venue, a touch of greenery offers an opportunity to put your mark on the space. Acoustics in large spaces can be tricky. Large, leafy plants, like ficus trees, can help absorb echoes and other ambient sound. 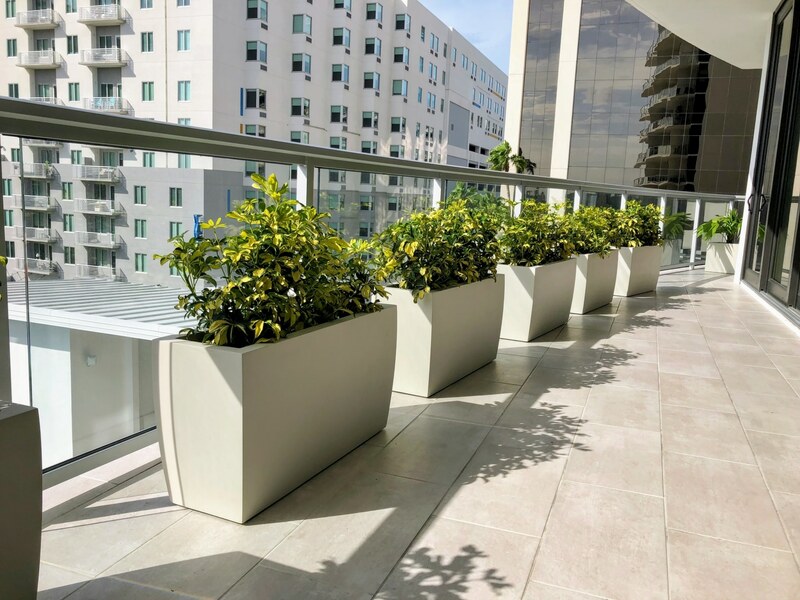 Outdoors, live plants can help create a barrier to soften the sounds of traffic from outside or music from within. Larger live plants are great for helping define areas where you’d like people to go–and discourage them from areas best avoided. Use them to create a sense of enclosure or paths between areas. 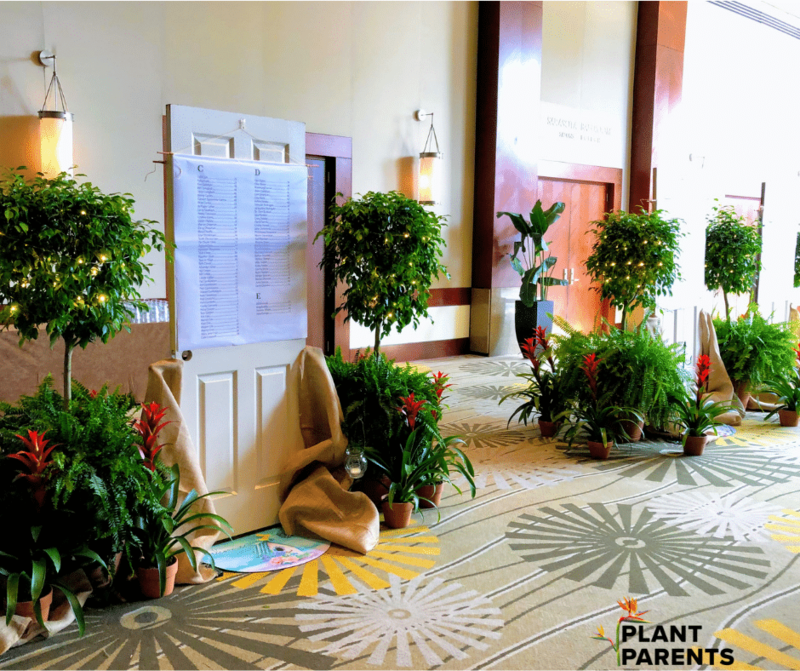 Plants are also great for creating a sense of intimacy in larger areas, like conference halls or large lawns, or even inside larger tents when arranged near posts. 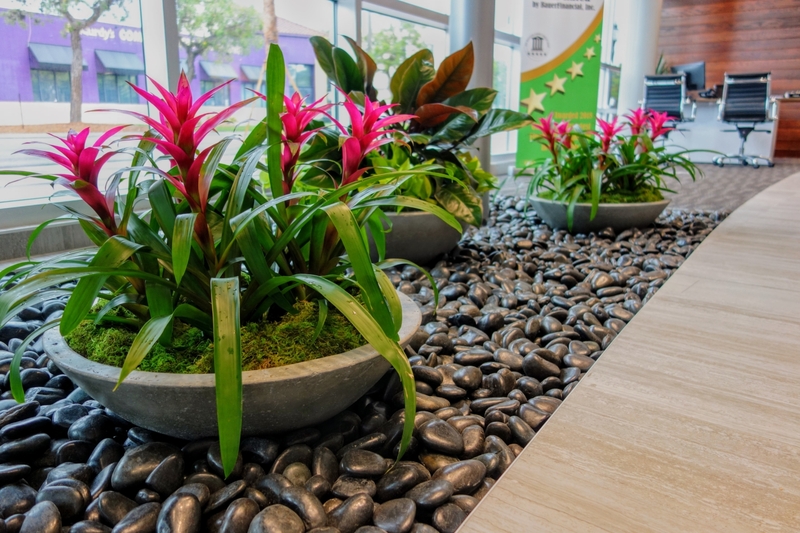 Plants can be used to add color and interest to a space. This can be accomplished by adding blooming plants, like guzmanias, as standalone arrangements or underplantings on larger trees. It can also be accomplished with colorful foliage plants. 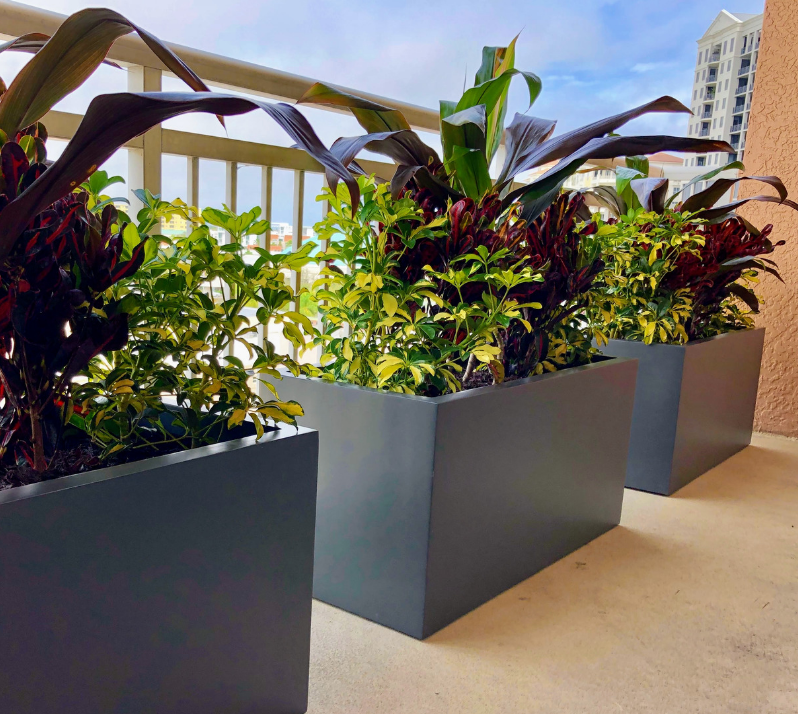 Some of our favorite colorful foliage plants include “Red Sister” Ti Plants (burgundy and fuchsia), Lemon Lime Dracenas (striped with white and two shades of green), and Glaucas (green with blush at the base). String lights make a great addition to our ficus trees. At evening events, they add a soft glow. Underlighting is another option that works especially well with palm trees. 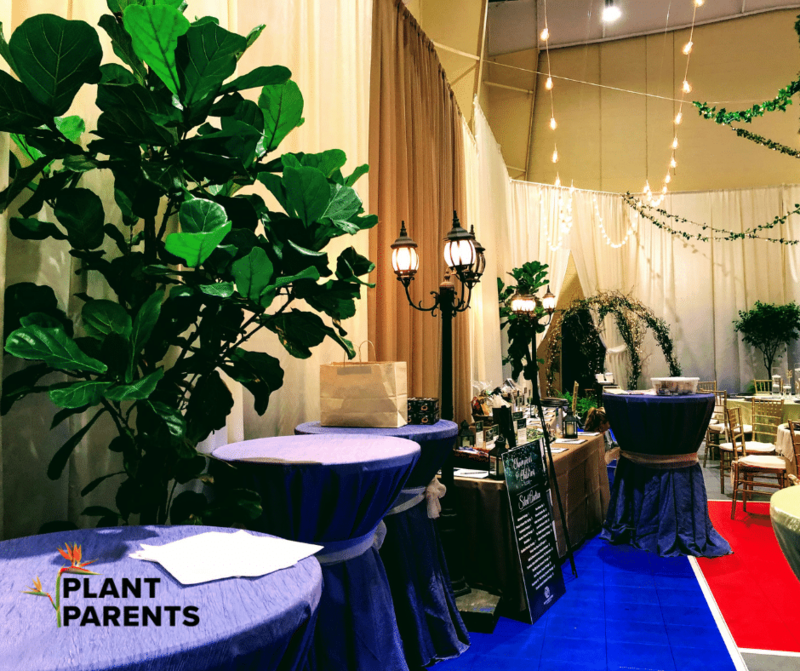 Interested in exploring short term plant rental options for your next event? 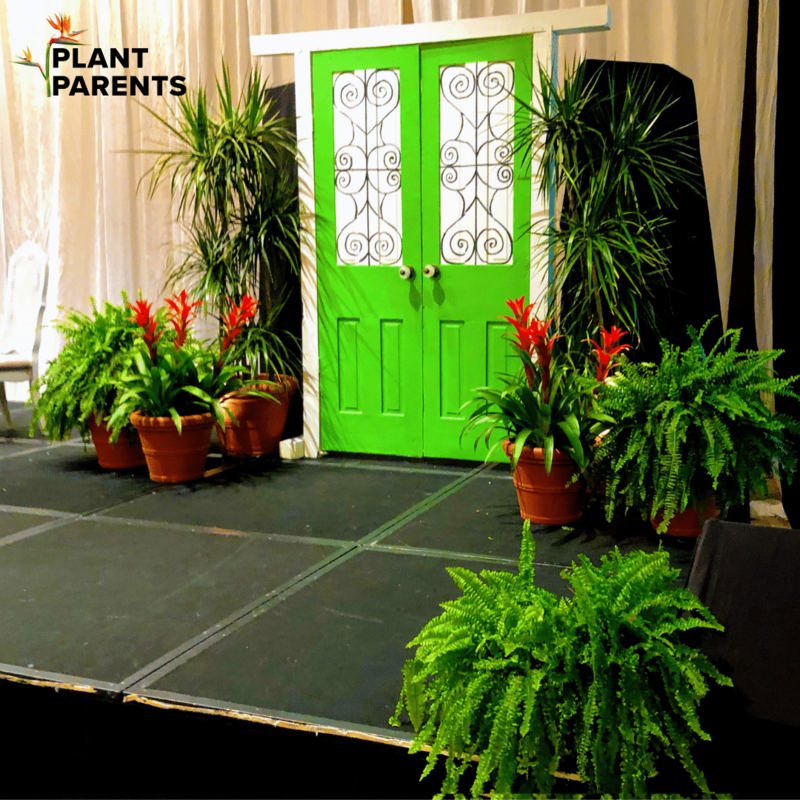 Contact Plant Parents for more information–we look working on event design!